Raised beds in our garden should improve the overall visual appeal of our garden. These beds are raised above the ground level and it is a place where flowers and other plants may grow. This is a good arrangement for elderly and homeowners with some disability. The elevated garden bed could minimize or prevent kneeling and bending over. Raised garden beds are also appropriate for smaller houses with limited space. Raised garden can be set up in back porch, deck, patio and other areas. Urban gardening is implemented by some homeowners both to increase their food safety and improve financial conditions. Organic gardening isn’t only a healthy thing to do, but could also help us to save money. Raised beds should be a good way to drain plants and we may also compact the soil. It means that plants will grow much easily. During the day, raised garden beds that are strategically positioned could be exposed to more sunlight. It means that the plants will be able to process nutrients longer and more effectively, resulting in improved growth and higher crop production. Raised beds also allow for the air to circulate easily. Even during colder days, the germination process could still take place, due to longer sunlight exposure and better air circulation. Other than making the maintenance task easier, it could also be much easier to harvest fruits and vegetables. Even during heavy rains, the soil in the raised garden beds won’t get compacted. Water will drain properly and with proper soil type, it won’t dissolve with the water. However, we may need to regularly add fertilizers and other nutrients to the beds to replace the missing nutrients. 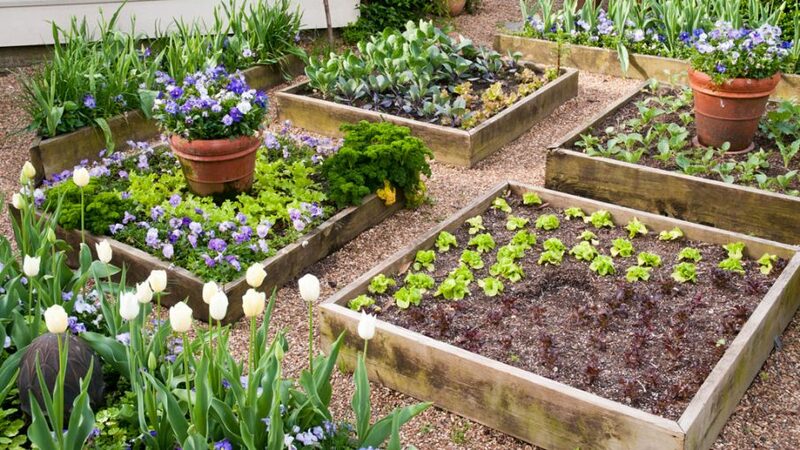 Raised beds could also be made prettier with some decorative elements. Raised garden beds can be made from plastic containers. Wooden structure may also be used, but we should make sure that it could withstand the constant exposure to moisture. Small holes should be added under the raised beds to allow water to escape during heavy rains. Sand and coarser materials may need to be placed at the bottom of the bed to prevent finer soil and nutrients from escaping. We should be able to find raised garden kits in gardening stores. The size and shape of the raised garden should be chosen based on the available space in our house. We may also consider implementing the companion planting method and it could allow plants to support one another. As an example, proper companion planting could minimize the proliferation of intrusive insects. Plants and vegetables should be rotated to prevent specific diseases and insects from thriving in our garden. This kind of method should help us to discourage the proliferation of insects. Pathogens won’t have enough time to proliferate in our garden if the plant type is immediately changed for each batch. It is clear that we will have much less problems when using raised garden beds. Weed control is also easier, because intrusive plants have much limited opportunity to grow.